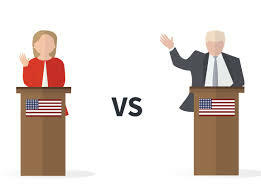 The Pulse with Peter B. is proud to announce a one night only special event entitled “The Great Debate: Left versus Right” at Willie McBrides, Monday, April 15 at 7pm. The debate will feature a moderated discussion exploring substantive issues between two of Hoboken's own deep thinkers, Dr. Anthony Petrosino on the left and Joshua Sotomayor Einstein on the right. It will be moderated by the host of The Pulse with Peter B., Peter Biancamano. Topics covered will be economics, immigration, foreign policy and more. Questions from the audience will be taken. The Pulse with Peter B. is Hoboken's premier local focused show covering sports, restaurant reviews, and political analysis. The half hour program features Biancamano interviewing veteran sports commentators, local food bloggers, and Joshua Sotomayor Einstein for his take on Hoboken focused politics and government analysis. The show has also gone on scene to highlight local events in Hoboken such as Mutz Fest, the Chili Cookoff, the Annual Casino Night of the United Synagogue of Hoboken, Mac and Cheese Fest and more. Dr. Petrosino, a distinguished professor at University of Texas Austin and former Hoboken School Board Assistant Superintendent, who splits his time between Hoboken and Texas, has received more than 17 million dollars in grants (from the National Science Foundation, the Department of Education and the McDonnel Foundation for Cognitive Studies), and has been published in over a half dozen peer review journals, as well as papers and websites. Einstein is the elected NJ GOP State Committeeman representing Hudson County, founding member of the Hudson County Regional Jewish Council, founding member of the Hudson County Young Republicans (re-chartered in 2015), a columnist for the Jewish Standard, contributor to Chicpeajc.com, and is an essayist who has been published in over 18 news sites and papers on Jewish and political topics. “In our Politics with Peter B. segment each week, we break down local issues that you care about. In “The Great Debate”, we present the community with an important dialogue on national issues. Everyone knows what Einstein can bring; on April 15 we add the always articulate Dr. Anthony Petrosino to the mix. It’s a recipe for a great night exchanging ideas between the left and right in a deep way that we don’t usually see in the media” said Biancamano.